“In this learning activity, you will have to photograph during travel on a mobile device such as a car, bus, boat, bicycle etc. Chose three of the images captured to communicate the essence of the trip. On our way to Bergen last week, I brought my camera with this learning activity in mind. To get to Bergen from Haugesund, you will either have to travel by boat, or you can drive through what we call “Trekantsambandet”. “Trekantsambandet” is basically a trio of an underwater tunnel and two floating bridges. 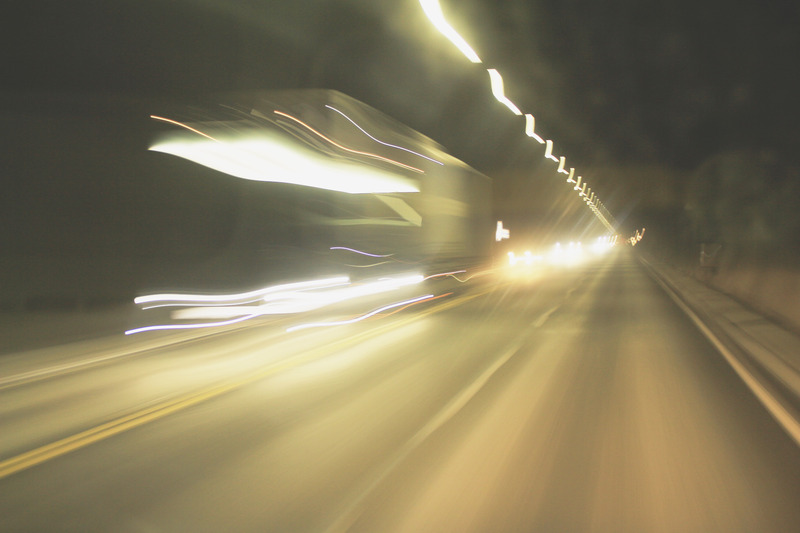 My plan was to play with shutter speed and drawing with light on my Canon EOS 650D in the underwater tunnel. I’ve used a Sigma zoom lens 18mm – 200mm. I’ve given my mini photo series the name “Tunnel vision”. Okay – so these images are not picture perfect, but they are chosen for editing in the next learning activity. 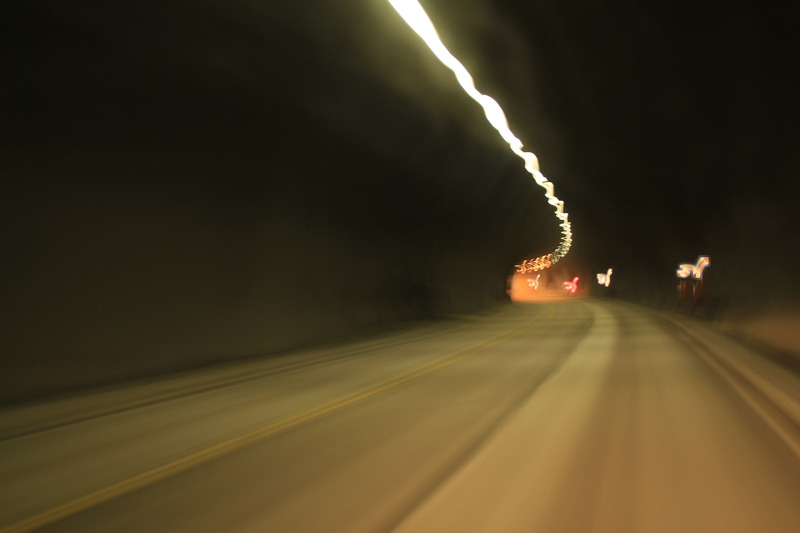 Driving through a tunnel at a high speed. Get the feel of speed on a narrow limited road. I want the viewer to feel/realize how fatal a crash could be in a tunnel like this. Just entered the tunnel – first meeting with other vehicles. 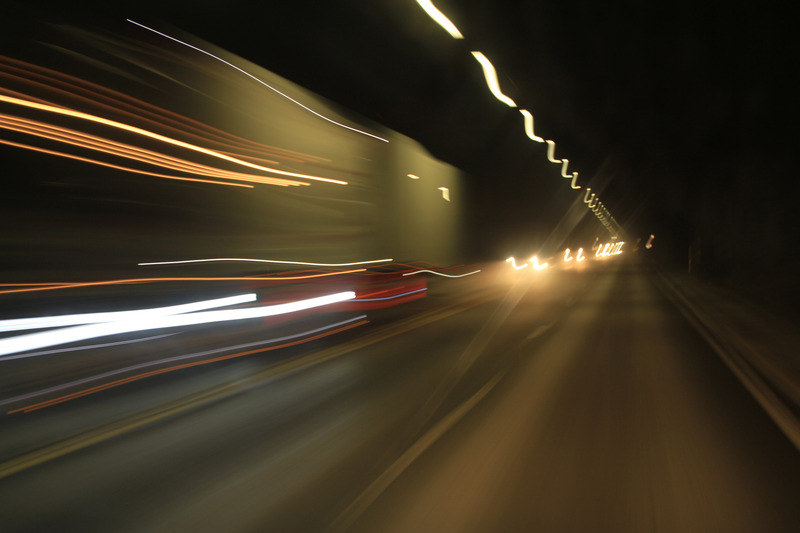 Reaching higher speed – tunnel is crowded with oncoming traffic. Light at the end of the tunnel – starting to slow down. In the next learning activity, I’ll be working with photo adjustments in Photoshop. This entry was posted in Learning activities, Week 21 - Photo Essay and Photo Editing. Bookmark the permalink.